This journal, as the title would suggest, focuses on appreciating what makes you happy. By journaling about the happiness in your life, you come to see just how much of it there is. And by taking the time to actively think about what made you happy today, you unveil some big, many little things that were good that might have been overlooked or forgotten otherwise. When you are feeling down, you can go back and read what you wrote previously. It can be very cheering and make you realize that things are not as bad as perhaps you are feeling at this less-than-happy moment. Being happy is contagious and the lovely thing about this contagion is that you can infect yourself! Read your happy writings and feel happy all over again, and again, and again. Once you’ve been writing in this journal for a while you will have so many things to make you happy, there will always be something to appeal to you on any day. Find a Happiness Quote for each journaling page, plus a little rating gauge at the foot of the page, and an place at the back to take note of the date or page for any entry or quote you particularly want to remember for easy access. 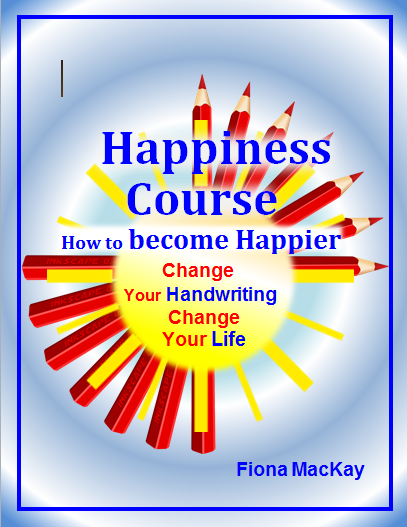 – where you learn HOW to write to become happier at the core.